using anything star-like over the next two weeks! I look forward to seeing what you have created! I created a watercolour background on Distress Watercolor Paper over some heat embossed stars using the Falling Stars Stamp Set. 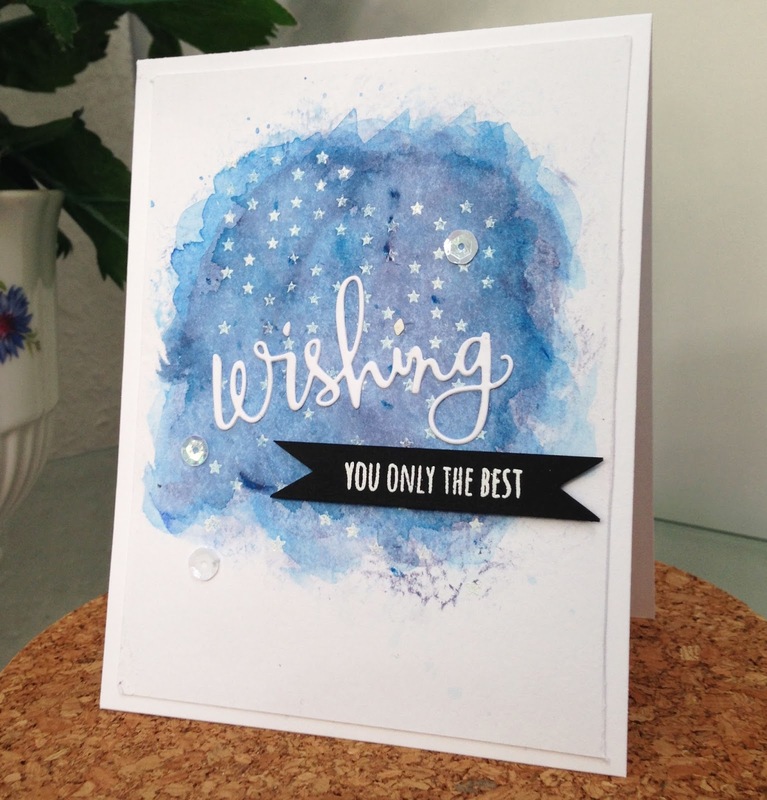 I added the sentiment using the Wishing Stamp and Die from Simon Says Stamp. I topped it off with a couple of Lily White Sequins from Doodlebug. Here is a video tutorial I created on how to make this card. Click here to view in higher quality. 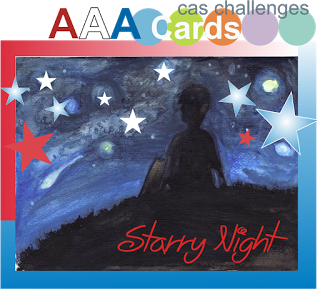 Fabulous mix of colours for your starry night sky. Absolutely gorgeous! I am so in love with that background look you created. I need a little splattering of stars like that, soooo cute.